Something has changed – and that change is good. It used to feel like there was not much choice in what software you would use to do your daily workload – Microsoft were monolithic and exerted a huge pressure on industry and personal computer users alike that forced them into working with software that they maybe didn’t particularly like. The growth of open source software that did the same thing as those cumbersome processor-hungry Microsoft programs redrew the map, and Microsoft’s market share was adjusted accordingly. Their image had become a dinged up and sorry looking thing. But like a dinosaur catching a whiff of the La Brea Tar Pits Microsoft knew things could not go on as they had; unlike said dinosaur, Microsoft seems to be evolving. It is seeking to push a change in the way that software is marketed and sold, and choice is central to this new ethos – choice and cross-platform adaptability. Windows is becoming more and more interesting. Why? It looks like it has been learning lessons from its failure to capture the interest of the public in the past – a rigidity that was seeing it losing ground year on year. Apple has its devoted followers. Chrome too has its devotees. Some of the newer companies are winning over the floating voters. And it would be disingenuous to suggest that there aren’t people who love Microsoft. Getting older isn’t going to be easy for a tech company – the demands for innovation and answers to the demands of the ever changing landscape mean you have to be running pretty fast to even stand still. Microsoft looked a little out of shape for a while. Finding the next new thing – cornering that niche – is never going to be easy, but it can be done. You have to capture the imagination. Steve Jobs used to talk about magic in reference to the products he was putting out there, and Apple products did have that flavor of mystique for the longest time. Microsoft though, seems to be picking up some of the slack that a few pedestrian releases from their competitors has created, and if their product lives up to the sense of promise that has been created then it can only mean a new lease of life for the tech giant. The coverage they are getting is great PR, because the ideas aren’t coming across just as something new for Microsoft; some of them appear to be new concepts for the industry as a whole. Do something interesting and say what people want to hear, and you hardly even have to advertise yourself. 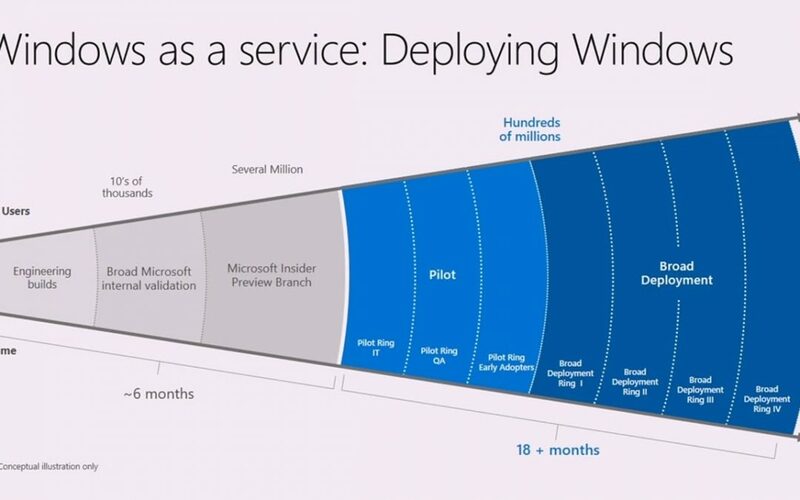 Windows as a service is the latest great idea – perpetual updates to an ever-evolving platform, rather than big developments being limited to new platform releases. 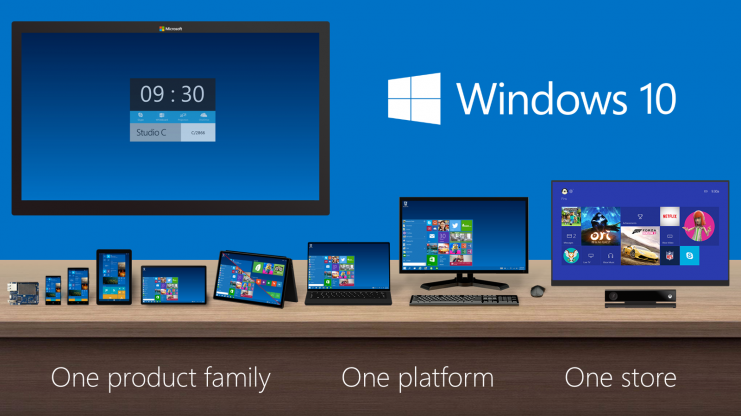 They are touting Windows 10 as the last release following this model, and that going forward it will operate more in the way that Chrome and Firefox have, with progressive tweaks and evolution. The old model has not been working so well for them, so it is a brave move to try and reframe how their market works. It feels like a lot of the stale and staid practices of old are due to change somewhat because in order to escape the inevitable entropy that arrives on the other side of the bell curve, you have to rejuvenate yourself and forget about what you were as company, and take about what you are, what you can be, and maybe Microsoft is ready to be something new.